Australia. 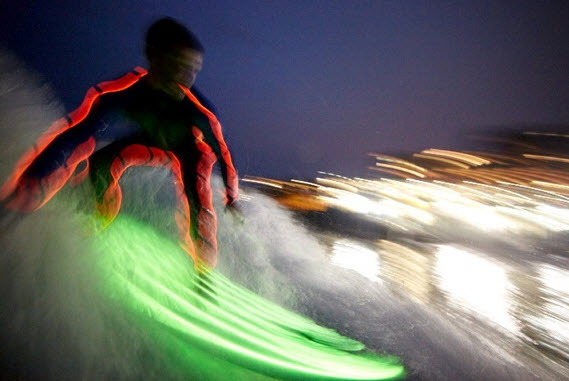 Known for is cute lovable Koala bears, Fosters (Australian for beer), and now Night Surfing. 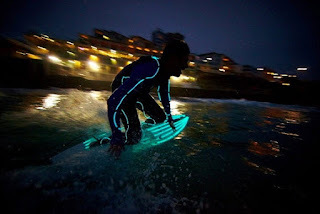 Taking the world by storm, this up and coming sport takes EL Wire and gives it an amazingly cool use. 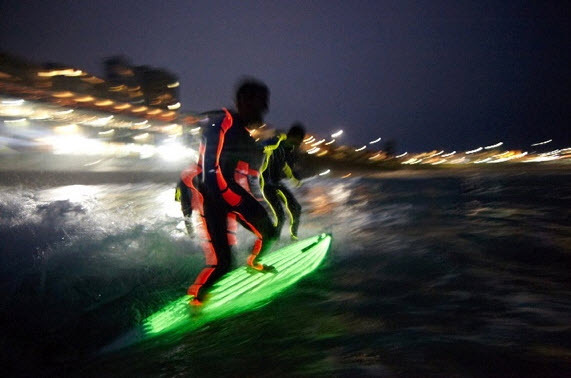 Sewed neatly along a wetsuit, along with EL Wire glued to a surfboard, this new sport gives surfers the ability to surf day or night. The use of Waterproof EL Wire Battery Packs enable the EL Wire to be completely submerged in water, while still functioning perfectly. Disclaimer: Many EL Wire inverters and battery packs are not waterproof, so if you intend in making night surfing your new sport, make sure it's waterproof or your surf sesh will be cut short! Thanks to a user submission (@BFunk20XX), this awesome video came across our desk.